The first step is preheating the oven to 450°F with a centrally placed rack. Line the muffin tin with paper baking cups. The flours, salt, sugar, baking powder, and baking soda are combined in a large bowl. In a different bowl, the banana, eggs, buttermilk, butter, and vanilla are combined. Stirring should be done until all the ingredients are uniformly blended. The berries should then be gently stirred into the dry ingredients. Mix the wet and dry ingredients until blended. 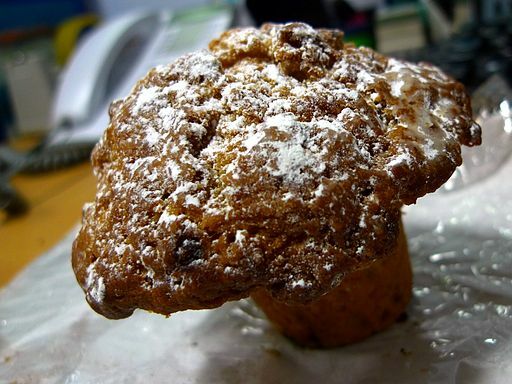 To get tender muffins, it is essential to avoid excessive blending. The muffin tins are filled until they are two thirds full and sprinkled with berries and a generous rose cinnamon dusting. Baking should then be done for twenty to forty minutes or until they are golden-topped. The rose cinnamon sugar is made by blending 3 tablespoons of sugar, 1 teaspoon of ground cinnamon, and one teaspoon of dried and crushed rose petals. For the above recipe, the preparation time is approximately ten minutes while the cooking time is approximately thirty minutes.